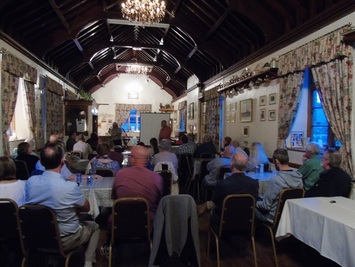 Presented by Dave Standing, we had a wonderful evening learning all about the history of Cistercian water management in South Wales. This will be of particular interest in regards to the local Abbey and the history of the monks in the area. A huge thank you the staff at Abbot’s Kitchen, situated in the Margam Abbey Parish Hall who supplied a beautiful selection of food. Check back regular to see more events coming up.